Parkview Green, Beijing was the first mixed use development in China to be awarded the LEED Platinum Certification (Leadership in Energy and Environmental Design) in 2009 and Asia's first LEED Dynamic Plaque in 2017. 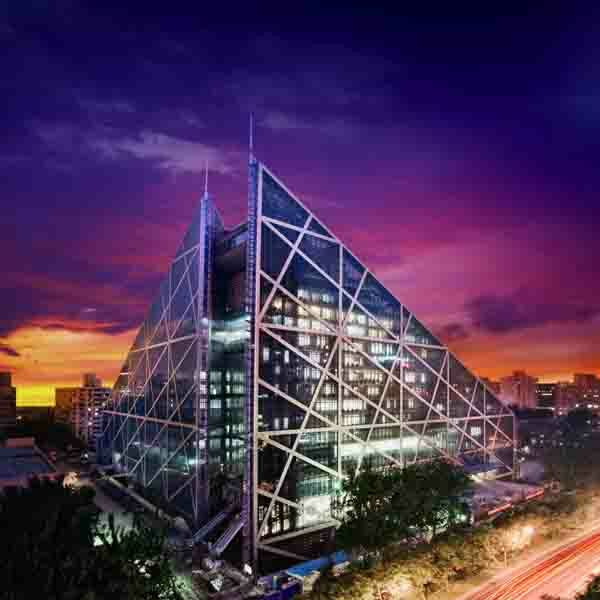 This vast urban pyramid, which incorporates 200,000 sqm of office, conference, hotel, retail and leisure space, is effectively a world of its own. The building’s external glass and steel architecture not only fills it with light, it also provides the structure for the building’s own microclimate. Parkview Green is home to nearly 100 brands, offering a diverse retail and dining experience in a central atrium that rises 68 m through the mall. Located in the Garden City’s vibrant downtown area, Parkview Square is a modern art-deco structure inspired by the 1929 Chanin building in New York City. Parkview Square offers 24 levels of intelligently designed office space, each with a versatile column-free floor plate of 1,500 sqm. The 15m high central atrium with ornate sculptural work and handcrafted detailing and the garden piazza form the building's focal point. Within its total leasable area of almost 40,000 sqm are the Embassies of Austria, Mongolia and the United Arab Emirates, alongside high profile corporations. ATLAS, the art-deco lobby and bar, occupies the building's ground floor. Hong Kong Parkview is set among rolling hills in 1,214 hectares of protected parkland, just 15 minutes from the Central Business District. 18 soaring towers are built around a 40,000m² landscaped podium, offering 780 residential apartments and 200 serviced residences. Managed by Hong Kong Parkview Group’s hospitality division, it serves the daily needs of over 4,000 residents. The facilities include restaurants, bars, business centre, sports and well-being facilities, concierge services and events venues, which are all available to residents and guests. Constructed over 20 years ago, Hong Kong Parkview is still the benchmark that other residential developments measure themselves against. Located in the prime residential area '10' in Singapore, Parkview Éclat is the city’s most elite residential address with just 35 residences on 21 floors. Inspired by the Art Deco period, Parkview Éclat’s apartments combine timeless style and the latest technology in living spaces created for urban sophisticates. 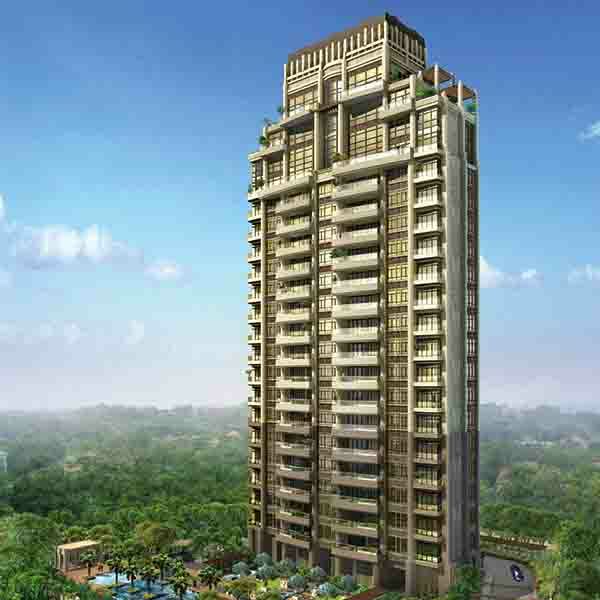 The units range in size from 269 sqm to the 938 sqm super penthouse, each featuring a private pool. Shanghai Garden City is spread over 35 hectares. The development includes 55,000 sqm of office, residential, retail and leisure space. Parkview Deco is a distinctive Art Deco Moderne mixed-use development located in Baoshan, Shanghai. The branded services for this inaugural phase have been selected with the express intent of opening the door to an enriching life at Parkview Shanghai and the wider Baoshan and Jiang Wan New City. Activity-based services including dining, kindergarten, spa, health clinic, food emporium and more, are expected to open in phase one together with retail, office, residential and a museum. The new landmark will be a wonderful addition for this great city. Parkview is creating a showcase for the Q x Q modular construction project in Okinawa, Japan. The 10-hectare beachfront site is located in Ginoza, 35 minutes from Naha, the capital of Okinawa. The master plan has been developed to protect the natural landscape with very minimal infrastructure construction. By using Q x Q modular construction, we can deliver a resort that is ecologically responsible and environmentally sustainable. In Okinawa, which has the longest living population in the world, Parkview will also launch a total well-being longevity centre that will offer entirely personalised programmes in preventive health care and support services for recuperation and rehabilitation. 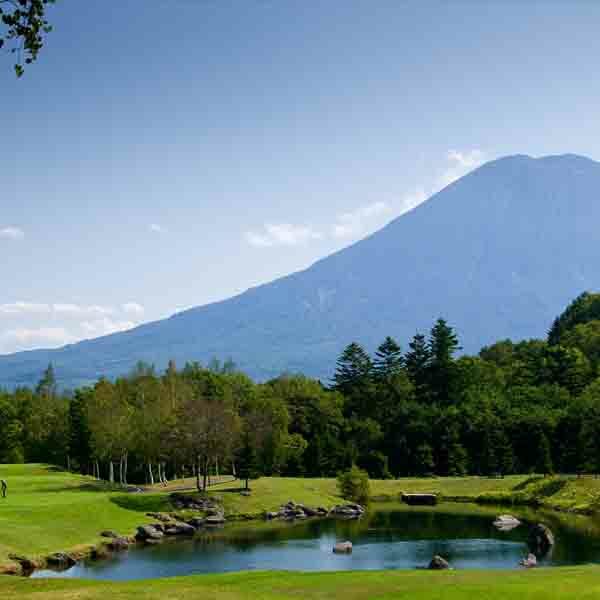 Located just two minutes from the renowned Niseko ski resort, this 14.1 hectare site will be divided between up-market residential, hotel and commercial zones. Set amid pristine Japanese farmland and forest, the development vision takes environmental awareness to its heart, aiming to use Q x Q modular components for minimal impact on the existing landscape and fauna. Well-insulated, energy-efficient structures will be designed to utilise geothermal and solar energy sources. Residents will share access to children’s play areas, indoor and outside pools and a private cinema. In addition, the commercial area will offer a world-class spa, ice rink and gym, alongside boutiques and a farmer’s market. The resort as a whole is very much designed with skiers’ needs in mind, including a free shuttle service to all ski areas in the region, sports equipment storage facilities and regularly updated snow reports. Stylish, contemporary and centrally located in the Da-An district of Taipei, Hotel Éclat is a member of Small Luxury Hotels of the World. This avant-garde property is an explosive gallery of textures, colours and contemporary art where guests live among outstanding pieces of work by Salvador Dali, Andy Warhol, Yin Jun, Li Shan and Gao Xiaowu. This 100-room luxury boutique hotel, an essential part of Beijing’s Parkview Green, has been created specifically with the business traveler in mind. The hotel has 26 luxurious suites, each with its own Jacuzzi-bathroom. Moreover, 20 of these suites have their own private pool and terrace. 20 suites are equipped with a terrace and private spa. Under the building’s clear ETFE roof, these suites are sky-villas with all the advantages of clean air in an outdoor setting. 223 luxurious serviced apartments at Hong Kong Parkview, range from 254 sqft standard rooms to 3,273 sqft 4-bedroom furnished suites. 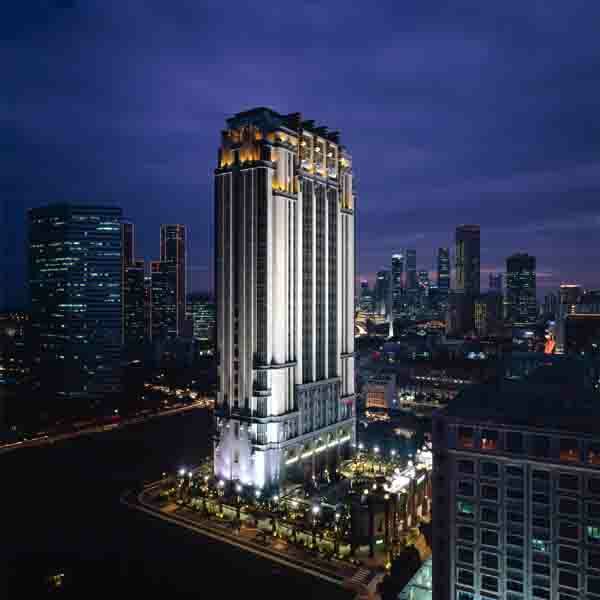 Easily accessible via its own private shuttle bus, Hong Kong Parkview is a short 15 mins ride away from Central/Wanchai. Residents can enjoy all facilities of a five star hotel, including but not limited to, concierge & babysiting services, gym facilities, valet & limousine services. Each spacious suite boasts captivating views, cutting edge technology and whether it’s specially curated decor or unfurnished, we make each space a welcoming home away from home. The antithesis of the old fashioned and stuffy heritage hotel, Château de Coligny will be an ideal location for family holidays, corporate retreats, seminars, large-scale events and weddings. Château de Coligny will offer a place for play and pleasure, culture and wellbeing, in buildings set on 93 acres, with 60 acres of woodland, just an hour and a half outside Paris. 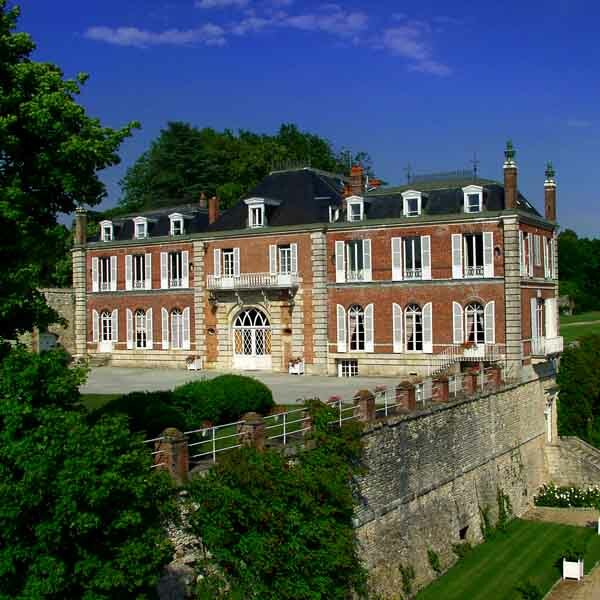 Located in a lesser known area, Coligny will consist of an organic restaurant set in an extraordinary orangery, the first ever built in France, comfortable rooms in the 19th century Château, a 12th century donjon tower and contemporary spa rooms along with a bathhouse in a wonderful wooden building overlooking the trees. Le Beauvallon is a private hotel residence and estate in the Bay of St Tropez available for exclusive hire. One of the original Belle Époque palaces on the French Riviera, it is a discreet private haven for those looking to experience a world of shimmering blue seas, scented hillsides and warm starry evenings. Its suites, airy family rooms, ballroom, swimming pool and generous grounds are suitable for large family celebrations, one-of-a-kind holidays, corporate retreats and weddings. 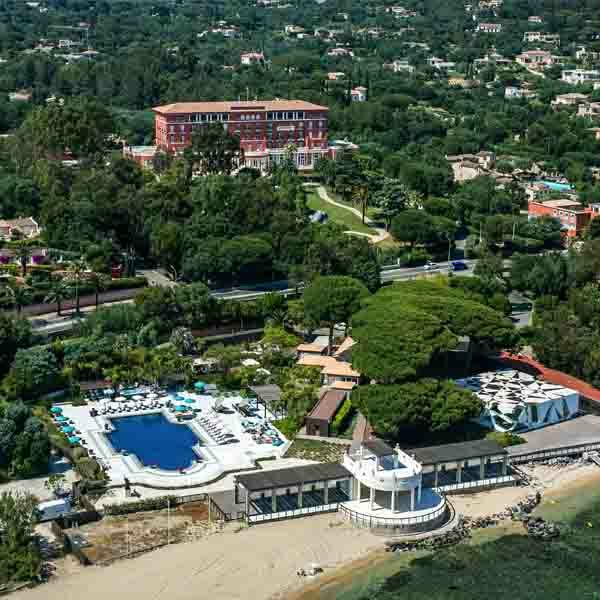 Le Beauvallon stands apart as one of the few places on the Riviera both close to the lights and glamour of St Tropez and at the same time a sanctuary of peace and calm with space to roam. Le Beauvallon is part of Parkview Private Collection. Sailing in Asian waters and the Mediterranean, Saluzi is a 70 metre charter yacht designed to offer a relaxed and memorable ‘beach-house on the sea’ experience. Her 16 cabins, including two master suites, are spread across five decks and served by a crew of 35. On board, guests can also enjoy an outdoor cinema, a main deck dining area that transforms into a nightclub, as well as a spa and gym. As a summer class yacht, Saluzi can sail in very shallow waters close to coral reefs, making her an ideal home for snorkelers, divers and those looking to escape to the most beautiful marine environments. Saluzi is part of Parkview Private Collection. Q x Q, meaning Quality by Quantity is a construction system designed to provide certainty to the client. We approach a building as a product; a luxury, customisable, modular design that could be shipped anywhere in the world and assembled in a matter of days. Working with world-class architects, manufacturers and engineers, we have created a number of designs that can be adapted to the client’s brief – from size, to layout, materials and function. Alongside our architectural solutions, we can provide all infrastructure services, pre-installed inside standard shipping containers allowing development in even the most remote locations. Operating with a business-to-business model, we provide a turnkey service for development anywhere in the world. Parkview has supported Chinese artists for the past 50 years and Chinese contemporary artists for over 20 years. Its art collection includes the largest Dali collection outside Spain, numerous artworks by western masters, an invaluable collection of imperial Chinese stone Buddhist carvings and a substantial collection of contemporary Chinese art amounting to over 10,000 works. 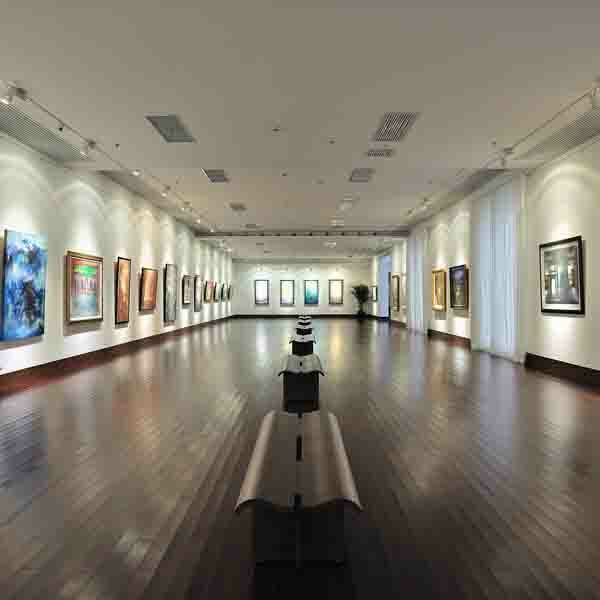 Over the years the collection has grown in scale and prestige and has led to the opening of six art galleries dedicated to Chinese contemporary art in Asia. A new gallery is due to open in Europe in the near future. Parkview Arts Action is an arts organisation which aims to harness the transformative power of art to raise awareness of environmental issues. It was set up at the beginning of 2014 by the Parkview Group and is a natural extension of Parkview’s commitment to both the arts and environmental causes. Through exhibitions and talks, the organisation hopes to create and sustain a dialogue between arts institutions, businesses, scientific communities, advocacy groups and the public on environmental sustainability. Organisation’s most recent touring exhibition, On Sharks & Humanity, has been seen by around 700,000 people at the Oceanographic Museum of Monaco, Ekaterina Cultural Foundation in Moscow, the National Museum of China on Tiananmen Square in Beijing and The Parkview Museum in Singapore. Parkview Design and Architecture delivers commercial and residential projects across the world. The team has provided architectural and interior design services for a variety of properties - from residential complexes to hotels, restaurants, offices and yachts. As well as architectural and interior design projects, Parkview DNA provides design services for exhibitions and events. Design services include – but are not limited to – exhibition layout and design proposals, creation of all key visuals and banners, sourcing production companies for materials, press relations management and translation services. The Private Harvest natural perfume and beauty range has been created on a truth and a passion. Inspired by age old skills and traditions and the very finest nature can provide. WriteUnite is an association founded to share written words and art across the globe. Its core activity is book publishing. It was established to give young people everywhere a voice to express their thoughts and feelings on global issues that truly matter. Proceeds from the sales are reinvested back into WriteUnite and used to donate school kits and books to those who need them the most. Taking the traditional Asian values that were the founding principles of Parkview Group and that shape the company today, Parkview is developing an academy specialising in business in emerging markets. The academy will be the place of learning for the entrepreneurs of the future that is fundamentally connected to the world around it and which celebrates traditional values in a modern context. The academy will aim to develop the concepts of learning that are more closely aligned with society and commerce, actively shaping both. The university will focus on new patterns of business around the creative and luxury industries, natural resources, environmental studies and well-being. Founded in 2001 and registered as an official charity in Hong Kong in 2010, Foodlink Foundation is an organisation dedicated to fighting hunger, building self sufficiency, and fostering nutritional wellness among those in need. Foodlink collects safe-to-eat surplus food from hotels and F&B outlets all over the city of Hong Kong and delivers the food to those who are vulnerable to hunger. The benefits are twofold - while reducing hunger, Foodlink also reduces the pressure on the city's landfills. ATLAS bar graces the ground floor of Singapore’s iconic building, Parkview Square, in the historic Bugis neighbourhood. The distinctive interior of ATLAS and architecture of Parkview Square are inspired by the glamorous Art Deco building designs of Europe and New York. It is the opulent era of Art Deco, otherwise known as Les Arts Décoratifs, where ATLAS takes many of its inspirations from in developing the food and cocktail menus. The result is something unique in Asia, a truly grand backdrop that harks to a time when 1920s generation was revelling in Deco glamour and unabashed Jazz Age elegance, sampling the finest libations in suitably beautiful surrounds. Parkview Food & Beverage Operations is a high-end hospitality arm of the group that owns, develops, manages and operates a portfolio of restaurants. It is also a founding shareholder in a number of luxury restaurants. Some of the award-winning restaurants include the three Michelin-starred 8½ Otto e Mezzo BOMBANA (2012-2016), the two Michelin-starred Wagyu Takumi (2014-2016), the one Michelin-starred Wagyu Kaiseki Den (2010-2016) and CIAK – In The Kitchen (2015-2016).